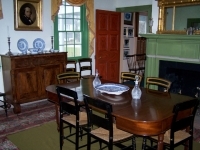 Built in 1832, the restored home that houses the Calvin B. Taylor House Museum depicts life in the Village of Berlin in the early 1800’s. 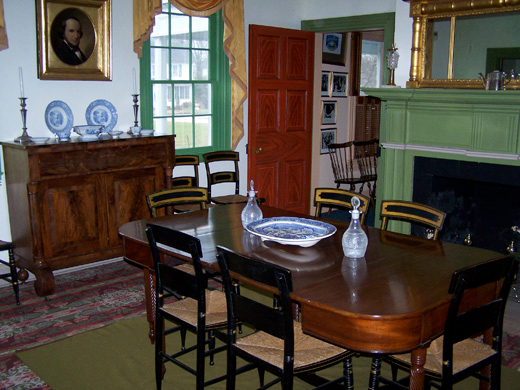 Named for the town citizen who founded a bank in 1890 that is still in operation today, the house contains amazing period furniture. 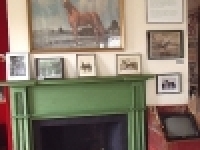 The museum also dedicates one room on the second floor to the images of the Riddle Farm, the nationally famous equine center, where famous horses such as Man o’ War and War Admiral lived and trained. 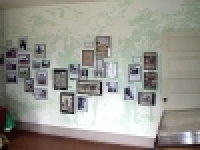 Life at the Riddle Farm is portrayed in the nation’s largest collection of vintage and modern photographs on the museums walls. Man o’ War, voted the Horse of the Century in 2000, was born on March 29, 1917. Twenty-one years later, in 1938, his son, Triple Crown winner, War Admiral, would face his Grandson, Seabiscuit, in Baltimore in what is still considered the match racing event of the century. Unexpectedly won by Seabiscuit, this race is documented at the museum. 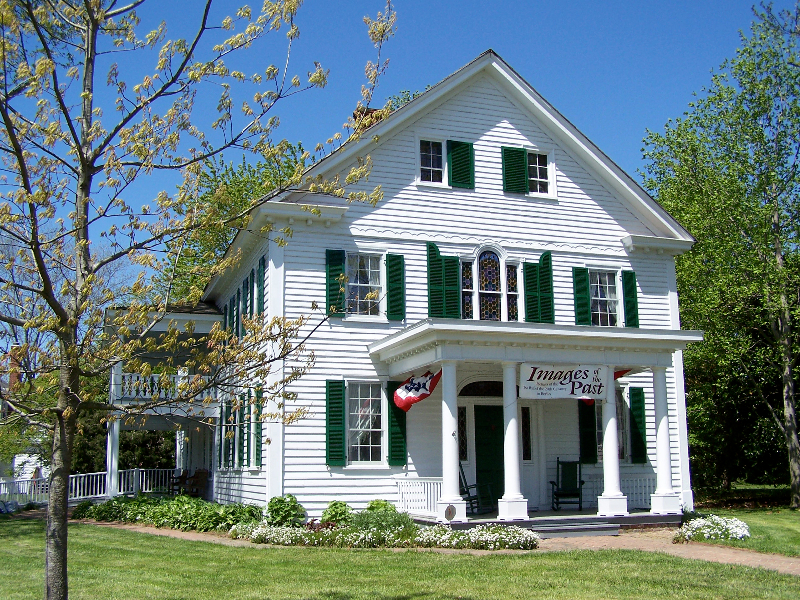 The Taylor Museum is on the corner of Baker and Main Streets in Berlin. Man o’ War would have walked past here several times from the train depot at Baker Street to the farm 5 miles away and back again to catch the train for horse racing challenges in Baltimore, Philadelphia and New York. This revered Horse won 20 of 21 contests and set 5 new records with his 26 foot stride. Standing on the corner at Baker Street, you may hear the click-clack of hoofs as the ghosts of yesteryear walk past the museum that houses their images. 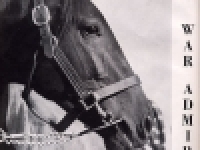 Seabiscuit was owned by Charles Howard. Although a grandson of Man o’ War, he trained and raced predominantly on the west coast and had an unpromising racing start. After connecting with the right trainer, Seabiscuit started winning. Thought of as an underdog in the “Race of the Century” at Pimlico in 1938, Seabiscuit went on to set a track record and beat War Admiral in this now famous race. The background of this wall is a mural of the “Race of the Century”, showing Seabiscuit and War Admiral racing at Pimlico in 1938. Also displayed are photographs of the two horses, an official souvenir program from the race, and photographs of the Riddle Farm, east of Berlin, where War Admiral trained. The Glen Riddle Farm, east of Berlin, was the winter headquarters of Samuel D. Riddle who owned two of the greatest racehorses of the 20th century. Man o’ War, and his son War Admiral. 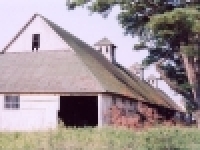 Both horses trained on this local farm which is now the site of the new Glen Riddle residential/golf course community. 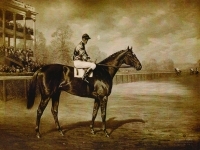 Man o’ War, owned by Samuel Farm, east of Berlin. One of the greatest racehorses of the 20th century, he won every race he ran in except one, where he was turned at the start. If that race had been longer he probably would have won that as well. Man o’ War was also a great stud horse, siring over 300 foals, including War Admiral. He was also a grandsire of Seabiscuit. This souvenir program is from the “Race of the Century’ between War Admiral and Seabiscuit. 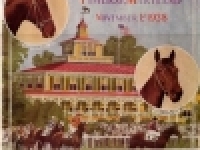 The race was held at Pimlico on November 1,1938. Over 40,000 people watched from the in-field as Seabiscuit came in first, beating the race favorite War Admiral. Man o’ War was not only a great racehorse, but an extremely successful stud horse. One of his sons, War Admiral, was a Triple Crown winner and certainly one of the greatest horses of the 20th century. 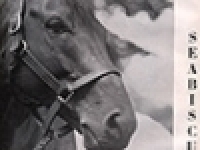 Seabiscuit, though a year older than War Admiral, was Man o’ War’s grandson. War Admiral, son of Man o’ War, was also owned by Samuel Riddle and trained on the Riddle Farms, east of Berlin. This triple crown winner won every race he entered in 1937.